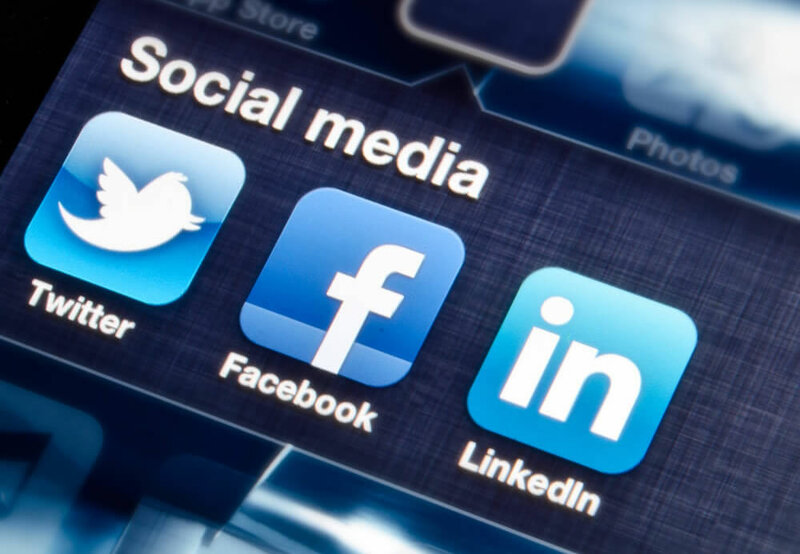 In addition to providing visibility, having a proactive social media marketing strategy can help boost your sales performance and help you achieve your marketing goals. You can earn new customer leads, increase brand awareness, and even offer customer support through social channels. To cover the full scope of why your business needs to be on social media, consider the following five benefits described below and how they are an essential part of any digital marketing strategy. Let’s be honest. Very few people are going to religiously check your business website’s “News” or “Blog” page for announcements and press releases. If most people don’t visit news sites to get news, they certainly aren’t actively going to business’s websites to see the latest developments. This assertion isn’t meant to discourage you from tending to your website at all, but rather to make you realise just how much more visibility being on social media adds for your business. Sharing news and announcements on social is dead simple, and your followers may even help share those materials for you once you release them into the wild. In this way, your social media profiles serve as your business’s online “hub” away from its main website. Your profile photo, the content you share, and the announcements you make all have the effect of turning your social accounts into an official mouthpiece for your brand. From here, you can help shape your public image and control the flow of information you release into the world. The jury is still out as to whether social media engagement and content shares can raise the search engine ranking for a business’s website pages. Hootsuite, for instance, found a small correlation but concluded that a deeper study with more data points was needed. So, if someone searches for your business name or a related topic online, your social media page and posts talking about your business are highly likely to appear near the top of search results. Twitter is especially good at earning top ranks, since Google features recent tweets similar to how they would news posts. Having a social media profile and actively discussing your areas of business can therefore give you additional opportunities at ranking near the top of search engine results. While people are more likely to check your social media pages than your homepage for business news, you can encourage more traffic to your website by posting on social media. For campaign-related traffic, you can describe your offer in attractive terms to earn attention and traffic. A retail business can describe a sale for their website store, for instance. Or, you can encourage people to sign up for entry in a contest by posting a link to the relevant landing page. Social media posting is particularly useful for boosting the ROI of your content marketing campaigns. Without social sharing, many businesses would get little traffic to their blogs. By posting on social, the business can boost traffic and potentially up their correlated domain authority, which explains the positive effect Hootsuite saw between social engagement and SEO rank. Social media creates opportunities for countless people to discover your business and what it does. Google searches for business names spike if that business can generate social buzz, for example. Social media advertising is also another potential source of significant new impressions and customer leads. Platforms like Facebook, Instagram, Twitter and LinkedIn have powerful audience customisation tools that allow you to get in front of your most valuable buyer personas with just a minimal budget. Brands can do an excellent job of building relationships with their audiences when they can create content that encourages engagement. Interactions like these don’t just multiply brand impressions. They also change the way people might perceive a brand. Someone who loves the playful tone of the post can then translate these positive associations to the business posting it. Or, the brand can help forge strong associations between itself and the values it cares about most. People who interact with the brand can therefore end up being more loyal customers, while repeating the desired positive brand associations to their friends and followers. According to one survey, 48% of people say they are more likely to make repeat purchases from a brand that engages with them, and 90% of millennials consider it “cool” when a brand responds to their questions. But what about people who have nasty things to say about your business on social media, or people who have a complaint? That is actually a great opportunity! Don’t Ignore Social Media Marketing, Or the World Could Ignore You! Because of all these benefits social media marketing provides, especially for visibility, having a social media strategy is no longer optional for businesses. Even if they do not intend to advertise or promote themselves on the major social platforms, they need a professional presence that responds actively to people looking for support and answers. If you want help forming your own social media strategy for your business, look no further than us! We have experience creating content, earning followers, interacting with audiences, supporting cross-channel marketing campaigns, and creating paid social media advertising campaigns based on your goals.